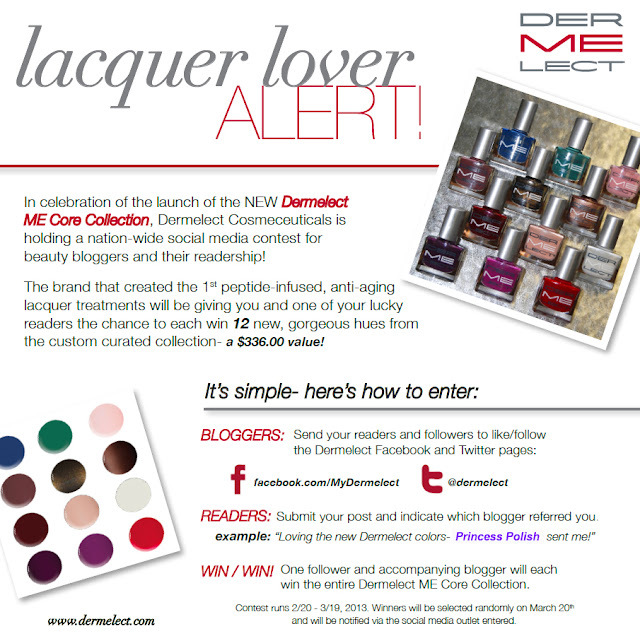 Princess Polish: Win the Dermelect ME Core Collection! Win the Dermelect ME Core Collection! Not sure when you changed this, but I love your new layout! !